The suitability of the Bega 22423 wall/ceiling light LED for a long-standing operation in the outdoor area is guaranteed by an excellent quality and processing of the selected materials. The casing of this German quality product is manufactured from cast aluminium and high-grade stainless steel. The light source of the 22423 wall/ceiling light LED by Bega is protected by thick sheets of crystal glass. The glass body is framed by metal struts that encase the glass like a cage, providing additional stability. Visually, the design of this elegant wall light is reminiscent of a classic lantern. Measuring 12x12x16 cm, the 22423 wall/ceiling light LED is the slightly smaller variant of this robust exterior light by Bega. The larger Bega 22453 wall/ceiling light LED is available in the light11 shop, as well. In addition to its excellent outdoor qualities, the Bega 22423 wall/ceiling light, which shines softly in all directions thanks to the crystal glass diffuser, scores points with state-of-the-art LED technology. With a power consumption of 4.6 watts, the integrated LED module operates at a highly economical level, producing a luminous flux of round 250 lumens. This value surpasses that of a conventional 25 W incandescent lamp. Thus, the 22423 wall/ceiling light LED benefits the environment as well as the household budget. Labelled IP65, the Bega 22423 wall/ceiling light LED is completely dust-tight and protected against water jets coming from any direction. Another advantage is the flexible mounting. As the name already suggests, the luminaire can be mounted to a wall or a ceiling. Tell other customers and us about your experiences with the 22423 - wall-/ceiling light LED ! 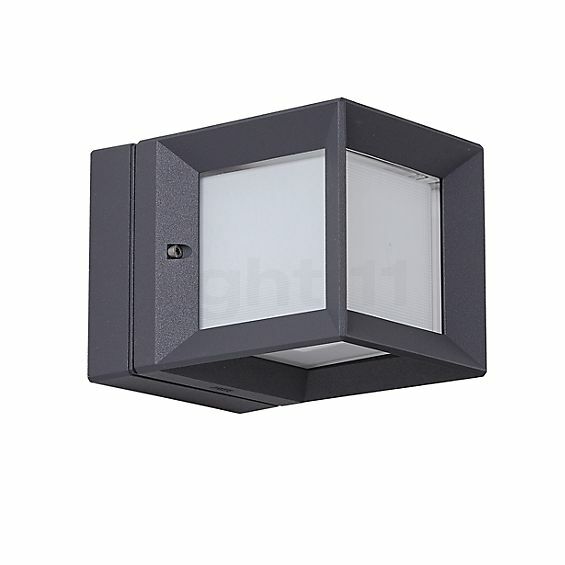 Thanks to its high degree of protection, the Bega 22423 wall/ceiling light is well prepared for its service outdoors, such as atmospherically lighting a house entrance. But also as a façade or terrace light, the 22423 wall/ceiling light LED cuts a fine figure. Furthermore, the wall light by Bega comes into its own in the commercial/public area, for instance, in illuminating the façades of hotels or restaurants.